Email Marketing Service Options Available with InterECM | Email Marketing is Hassle Free with InterECM!| Email Broadcasting Software the InterECM Way! InterECM's email marketing service is easy to use and does not require any technical skills whatsoever. Just follow the simple instructions provided to start! Maximize your bandwidth usage & ROI by pre-scheduling your email marketing programs and campaigns to enable delivery of emails during off-peak hours. Our email broadcasting software enables you to schedule both date & time of delivery, eliminating the need for additional bandwidth and expenditure. No maintenance fees, ever! 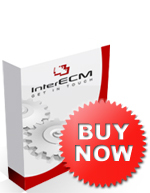 All maintenance to the InterECM email broadcasting software will be carried out free of charge. Save time & effort for every campaign. Our email broadcasting software automatically tags & hosts all images in your HTML email, so you don't have to manually tag & link images to your web server. The InterECM email broadcasting software is also designed to act as a high speed, high volume email advertising engine. It can handle concurrent blasts without duplication or erroneous personalization. Your members who do not have an HTML enabled email client will be able to read your text email messages. InterECM lets you combine and deliver both text & HTML formatted emails into a single email. InterECM is extendable to include automated broadcasts based on events or trigger factors such as member birthday greetings or transaction notifications through email.